Eating local foods is better for you, for the environment, and for your taste buds. Here are the top eight big, umbrella-style reasons you might want to consider eating more local foods. Local food is fresher and tastes better than food that has been trucked or flown in from thousands of miles away. Think you can't taste the difference between lettuce picked yesterday and lettuce picked last week, factory-washed, and sealed in plastic? Think again. Along with tasting better, fresher food lasts longer too. Deprivation leads to greater appreciation. In-season, locally grown tomatoes burst with flavor that's easy to forget if you only eat ones that are artificially ripened with gas. Strawberries fresh from the field make the long-shipped specimens of winter seem hardly worth the effort to chew them. Fresh corn in-season tastes best when you haven't eaten any in 9 or 10 months—long enough for its taste to be a slightly blurred memory that is suddenly awakened with that first bite. Eating locally means eating seasonally, with all the deprivation and resulting pleasure that accompanies it. Those thousands of miles some food is shipped? That leads to a big carbon footprint for a little bunch of herbs. Look for farmers who follow organic and sustainable growing practices and energy use to minimize your food's environmental impact. The environmental question of where your food comes from is bigger than its carbon footprint. By buying foods grown and raised close to where you live, you help maintain farmland and green space in your area. The fewer steps there are between your food's source and your table the less chance there is of contamination. When you know where your food comes from and who grows it, you know a lot more about that food. Local foods tend to create a greater variety of foods. 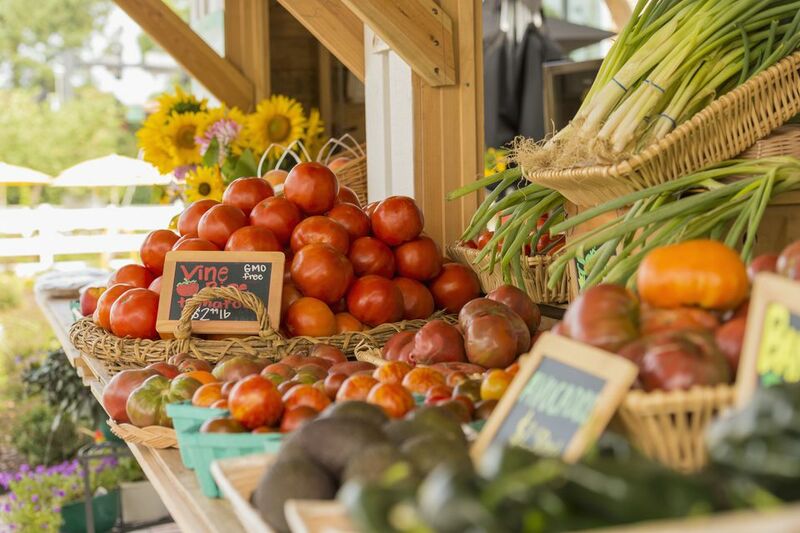 Farmers who run community-supported agriculture programs (CSAs), sell at farmers markets, and provide local restaurants have the demand and hence the economic support for raising more types of produce and livestock. This leads to Brandywines, Early Girls, and Lemon Boys instead of "tomatoes." Money spent with local farmers, growers, and artisans and locally-owned purveyors and restaurants all stays close to home. It works to build your local economy instead of being handed over to a corporation in another city, state, or country. Since the food moves through fewer hands, more of the money you spend tends to get to the people growing it. To make the biggest local economic impact on your food budget, seek out producers who pay their workers a fair wage and practice social justice in their business. Knowing where your food is from connects you to the people who raise and grow it. Instead of having a single relationship with a big supermarket, you develop smaller connections to more food sources. All of the sudden, you know vendors at the farmers market, the buying manager at the local cheese shop, the butcher at your favorite meat counter, the workers at the co-op that sells local eggs, the roaster, and barista at the local café. For some people, the benefit of this is social and psychological; for all of us, though, it pays off in the foods we eat. People who know you tend to want to help you, whether it's giving you a deal on a leg of lamb, letting you know when your favorite tomatoes will be on sale or setting aside a wedge of your favorite cheese.